1) Share a comment about this post that provides any information you would like, including the uploading of digital images from your computer in the form of old photographs or documents (just click the Comment link, then use the “Image: Browse” button underneath the online comment form and upload your image files or jpgs). 3) Finally,we are also seeking some dedicated volunteers who might want to become registered correspondents at this site with the capacity to post their own research entries like the ones you see across the various sections. 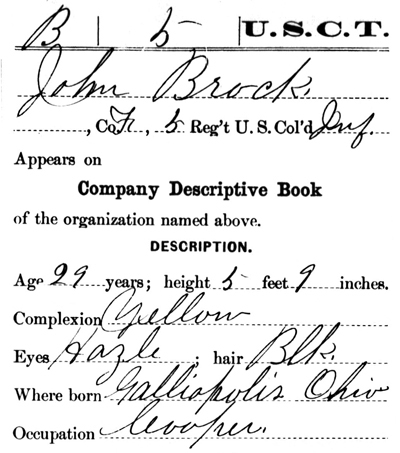 If you’re interested in such an assignment and feel you have the capabilities to help others learn more about the USCT or can help others overcome the challenges of African American genealogical research, then please email your resume to hdivided@dickinson.edu and explain your interest and we will explore building a connection with you. Now is the time for everyone to share in our nation’s Civil War history as the 150th anniversary of that conflict approaches. And no stories need greater exposure than those of the African American patriots of the USCT. Posted in Share Your Stories Friday, February 26th, 2010 at 4:30 pm.